Our World Refugee Day Benefit for the IRC (Friday, June 20th Cville Coffee) will include music, improv, door prizes, and selections from interviews with Charlottesville-area residents who first arrived here as refugees. The interviews have been conducted by veterans from our Big Blue Door Jams! Transcripts of the interviews are here. The interviews use a model for collecting oral histories developed by the Works Progress Administration during the Great Depression. The idea is for the interviewer to turn on an audio recorder and help the people being interviewed to tell their own story rather than using them as source material for the interviewer’s concept of a story. The master of this form over the years was the late, great Studs Terkel. 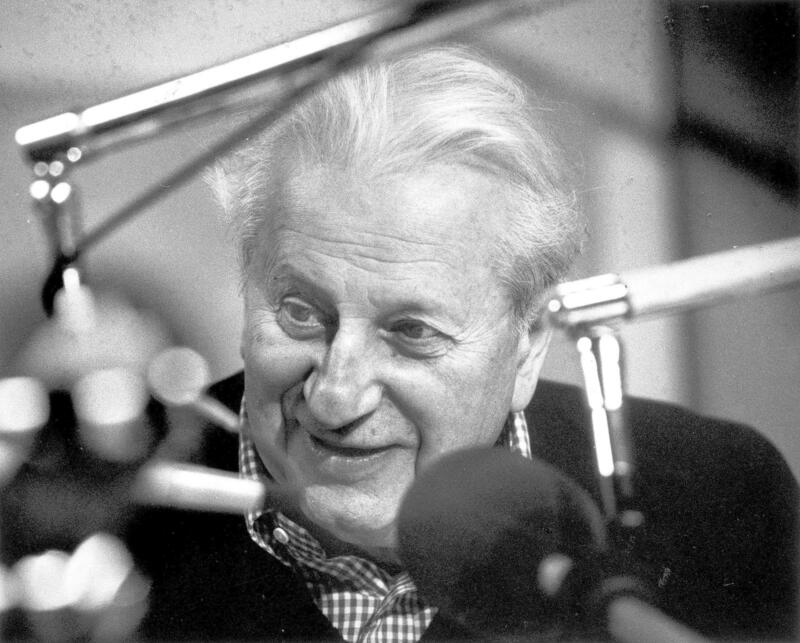 Terkel had a long-running radio program in which he interviewed people from all walks of life, and he conducted interviews off-air too. He published many books of interviews, particularly recommended are The Good War, and Working. Big Blue Door especially admires and organization called Story Corps (Tho’ we have no affiliation with them!). They’ve been encouraging and carrying on this type of interview for a decade now. They even travel around the country with portable a recording studio! Oral histories are a new thing for Big Blue Door. We’re very grateful that some of our Big Blue Door Jammers have been willing to take them on, and even more grateful that some newcomers to the community have put up with our questions! The World Refugee Day Benefit will be the first time we include this type of material. We hope to carry out more interviews in the future with other members of our community. By the night of the show we’ll have an on-line ‘program’ with more information about the interviewers and interview subjects, and check in at this blog in meantime for more about our World Refugee Day Benefit!